Visit the three new ChronoPoints Central Florida Project pages. Before we head out on the road for a bit of scanning, we just developed pages for three Central Florida Projects that we are working on – New Smyrna Sugar Mill, Gene Leedy’s First National Bank of Cape Canaveral, and Cocoa Beach Mayor Robert Murkshe. 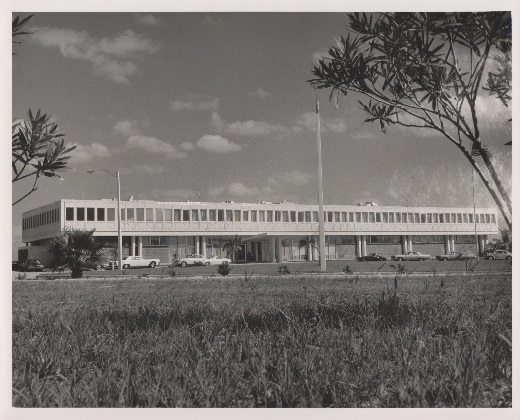 How does this Robert Murskshe Collection photo of the Cape Canaveral Hospital link to the Cocoa Beach Glass Bank? They share the same architect – Reginald Knight. We are sending out an assistance request for historical materials pertaining to any of these projects or earlier projects. Thank you.